The story of Frank Appleton and Canada’s first craft brewery. When it comes to beer, we’ve never had it so good. It’s an oft-repeated phrase these days, but sometimes it’s worthwhile to take stock of how far beer in Canada has come. Fifty years ago, beer culture in Vancouver was a wasteland saturated with the blandest product imaginable, a result of growing corporate power and the lingering effects of war rationing and Canada’s disastrous flirtation with Prohibition. Fresh off the plane from England, a 22-year-old Frank Appleton was horrified. “It was pretty desperate really,” says Appleton, now 75, over the phone from his home in Edgewood, BC. “It was the beer parlours, you still had the men’s side and ladies-and-escorts side. I’d never really come across anything like that before. Frank Appleton has masterminded dozens of successful brewery startups. Little did Appleton know at the time that he would be instrumental in transforming this drab, repressed scene into the riot of varied flavours that defines modern craft beer culture. 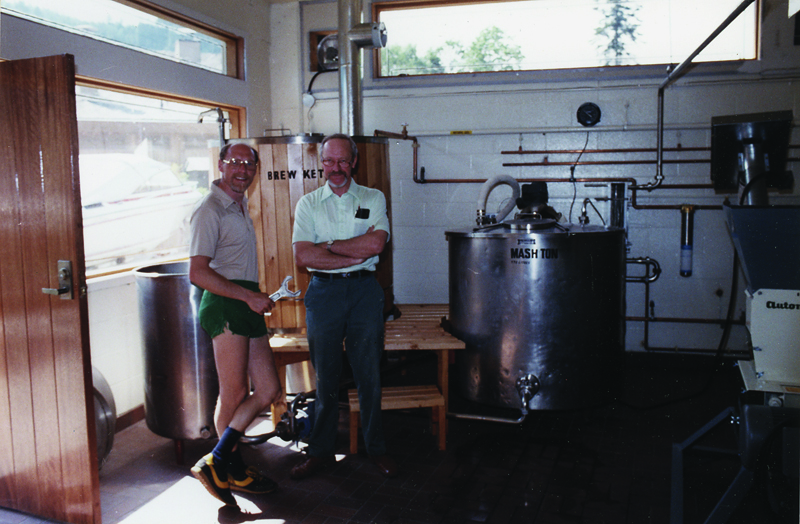 The story of that transformation is detailed in Brewing Revolution, Appleton’s recently released biographical account of his work in the beer world. It can be read as an account of the decline and rise of Canada’s brewing industry, as the push by the Big Three – Molson, Labatt and Carling O’Keefe – to make an ever lighter, blander, cheaper product sparked the craft beer insurgency. The revolution was something of an inside job, as Appleton was once part of the machine. A year after moving to Vancouver, still an idealistic young microbiologist, Appleton got the job of quality control supervisor at the brand new O’Keefe brewery at Lougheed and Boundary. His account of his eight years at O’Keefe as it constantly sought to cut costs and was slowly run into the ground by Carling, its supposed sister company, is a dispiriting narrative of corporate culture at its worst. The final straw came when it was announced the O’Keefe brewery would close and Appleton was offered a demoted position with Carling. He duly walked out and upped sticks to the Kootenays, where he pursued his dream of building a new home in, as he terms it, his “own little piece of Valhalla.” He supplemented his lifestyle by writing freelance on a wide variety of topics, mostly rooted in his love of nature and living off the land. This was the juncture at which craft beer in BC was born. 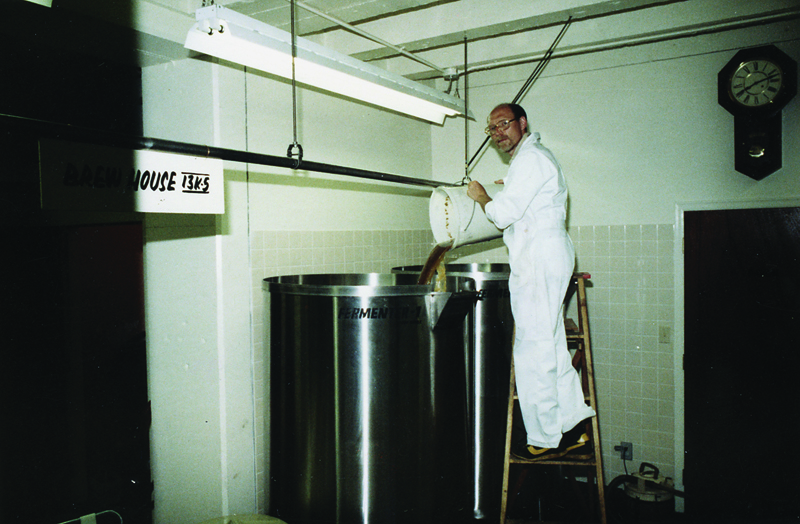 In 1978, Appleton wrote an article for the now-defunct Harrowsmith magazine called “The Underground Brewmaster,” in which he detailed how beer made at home could be cheaper and way more flavourful than anything the big guys were producing. 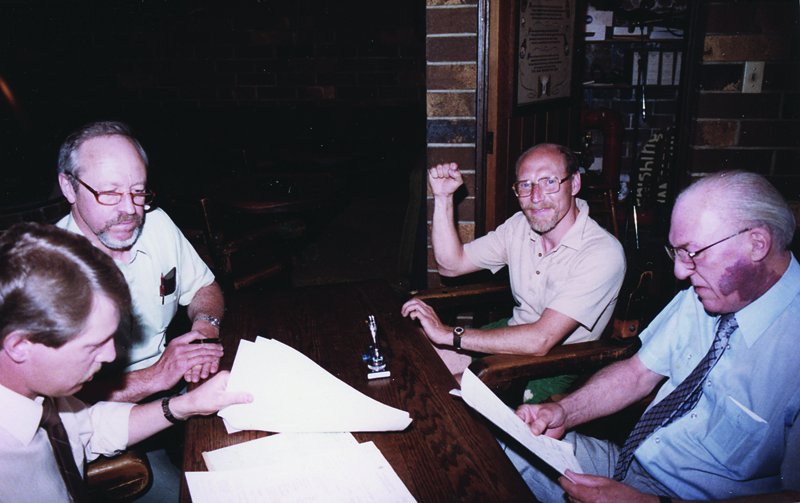 In the summer of 1981, John Mitchell, the co-owner of the Troller Bay pub in Horseshoe Bay, West Vancouver, was complaining to a friend at the bar about the state of Canadian beer and why he couldn’t just make his own to sell at the pub. The friend told Mitchell about an article he’d read in Harrowsmith. 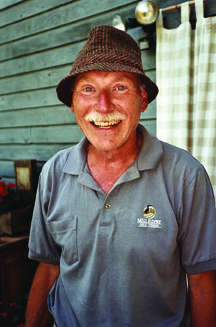 The next day, Appleton got a call from Mitchell asking for his help in creating Canada’s first “cottage brewery.” Appleton was at first reluctant but admired his fellow Englishman’s drive – literally, as Mitchell and his wife journeyed the 600 kilometres to discuss the plan with Appleton in person. Even though Appleton was happy to draw up a proposal for government officials, he was highly skeptical the plan would go any further. What he didn’t know was that the B.C. government was becoming increasingly exasperated with the Big Three’s price-fixing practices – and so approval for Appleton and Mitchell’s idea was fast-tracked. On paper, the circumstances sound incredible; the birth of Horseshoe Bay Brewery a one-in-a-million shot. But Appleton thinks a groundswell for change was already building at the start of the 1980s. “John always says, ‘It could have never happened without you Appleton.’ But I kind of wonder about that because my feeling about the whole craft beer movement was that it was an idea whose time had come,” Appleton says. That said, there is still a sense of wonder in the story of how Appleton and Mitchell cobbled together the nation’s first craft brewery using old dairy equipment, which created Canada’s first commercial craft beer, Bay Ale – effectively, a clone of Fuller’s famous London Pride bitter. Arguably the book’s most memorable scene depicts Appleton and Mitchell nervously sampling the first pour from the first keg of Bay Ale in the Troller Pub cellar, while a room full of curious punters wait thirstily upstairs for the results. The sense of deflation is almost palpable when the beer comes out too cold and flat. The rest of Brewing Revolution follows Appleton’s career as a brewery start-up consultant, teaming up with Mitchell again at Spinnakers (Canada’s oldest extant brewpub, in Victoria) and Howe Sound Brewing (Squamish), and, as word spread about his skill set, helping to create many other iconic names in brewing both in B.C. (Swans Brewpub, Victoria) and in the U.S. (Deschutes in Bend, Ore., whose famous Black Butte Porter is one of Appleton’s recipes). But Appleton concedes that a good brewhouse design will only get you so far. “It’s like cooking: You have to have the right guy – a chef or a brewmaster – with the right attitude, you have to have the right ingredients, highest quality ingredients, have a good recipe and follow the recipe through with absolute attention to detail and integrity, every time,” Appleton says. The burgeoning nature of BC’s craft beer scene, its community and its role within communities, reveal that there are many brewers following Appleton’s gospel. Fittingly, many have paid tribute: First there was Swans’ Appleton Brown Ale; then Howe Sound released its Troller Bay Ale; Appleton’s former protégé, Sean Hoyne, released Appleton ESB through his own Hoyne Brewing in Victoria; and, most recently, there was the succinctly named Frank brown ale by another of Appleton’s acolytes, Iain Hill, now co-owner of Vancouver’s Strange Fellows Brewing Company. Any one of these breweries likely produces more variety than what existed in the whole of Canada 50 years ago, when Frank Appleton first touched down in Vancouver. And that, right there, is a Brewing Revolution.